agreeing to anything, always consult a trusted truck accident lawyer. But what makes truck accident cases worth so much more? And what makes a truck accident case more complicated than a car accident case? Due to the number of regulations, it may be difficult for you to determine all the factors that play a role in your case. An experienced truck accident attorney, however, will know all the right questions to ask and which regulations may have been violated, resulting in the accident. Commercial trucks and commercial truck drivers must undergo a roadside inspection which shows they are in compliance with the Federal Motor Carrier Safety Regulations (FMCSRs) or the Hazardous Materials Regulations (HMRs). According to the 2017 Pocket Guide to Large Truck and Bus Statistics, a resource created by the Federal Motor Carrier Safety Administration (FMCSA), in 2016, 464,343 out of 2,323,533 vehicle inspections had out-of-service violations. Lighting - The operating vehicle did not have the required operable lamps. Breaks - The clamp/roto-chamber type brake(s) were out of adjustment. Vehicle defects - Inspection, repair and maintenance violations. Any of these violations can easily cause an accident. 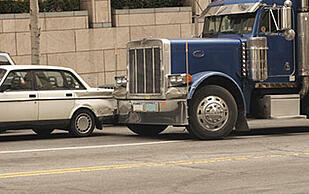 Your truck accident lawyer should be able to find the cause, and get you the compensation your deserve. After a truck accident, there are a number of factors to investigate which could determine who may be at fault. For example, if an accident is caused by the truck’s brakes, the negligent party may be the driver, who did not follow protocol; the mechanic, who did not appropriately inspect the brakes; or the trucking company, which did not take preventative action and ensure proper inspection. In the trucking industry, there are a lot of parties who may play a role in maintenance, prevention and ultimately, negligence. Trucking companies are not required by law to maintain drivers’ records indefinitely. Following a crash involving a commercial truck, it is important to immediately send a preservation letter, requiring the company to retain records of the driver and vehicle pertaining to this crash. Making the choice to hire a truck accident attorney means an experienced legal team is investigating your case. They will be helping you manage lost wages, medical bills and suffering, and working with an experienced team will allow you to feel at ease, knowing you have someone working on your behalf. Click here to learn more about why you should select a truck accident law firm that works as a team. Trucking insurance policies are quite different than car insurance policies, and in many circumstances, there will be more than one policy in place: the company that hired the truck will have insurance; the driver may have their own insurance; the truck itself can often have insurance; and in some cases, even the cargo on board will be insured. 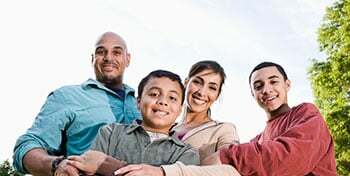 Dealing with a number of insurance companies at once can become overwhelming quickly. Each insurance company will be looking out for its own interests, seeking to prevent or lessen possible damages or payouts, and may slow down the process as a result. Without the help of experienced truck accident lawyers, you may be left trying to manage a number of insurance policies and piles of paperwork, all while you are trying to recover from your injuries. By hiring an experienced Milwaukee truck accident lawyer, you can focus on getting well after your accident knowing that a team of lawyers is navigating the sea of policies to be sure you get the settlement or compensation you deserve. A vehicle accident with large truck, that also has a trailer and heavy cargo, can mean a lot of damage to property and other drivers. In many cases, a truck accident case is worth more because there are often more substantial injuries and higher medical bills, which means more time off work and more property damage to account for. The physical injuries and property damage are not the only things to account for, being hit by a semi-truck can be terrifying. It’s not uncommon for victims of a truck accident and their families to be shaken up so bad, they are unable to assess the situation clearly, and do not take the appropriate action steps after the accident. With insurance companies calling and offering lucrative truck accident settlements, far below what is actually reasonable, it’s no wonder that many people sign off without contacting a lawyer at all. But as an attorney who has handled many truck accident lawsuits, I can assure you that we will fight to help you get the compensation you deserve, and work with you to make sure you have everything you need in your recovery. Hear from a real client below, and how a lawyer can help you after an accident. Call the police if damages exceed $1,000 dollars. Call an experienced truck accident lawyer so they can help you manage legal aspects after the accident and help you obtain traffic cam footage. Take photos of the accident scene, documenting weather, property damage and when needed, injuries. Call your own insurance company, if needed. Don’t post about your accident on social media. What you post can be found by one of the many insurance companies involved and potentially be used against you. 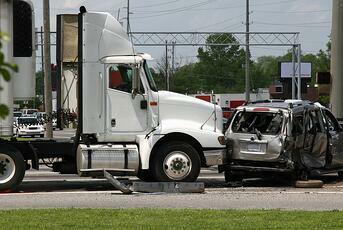 Truck accident cases are far more complicated than car accident cases. The truck accident attorneys at Murphy & Prachthauser understand the special duties imposed on commercial and public carriers, as well as the complex scientific and engineering principles often necessary to unravel just how an accident occurred and who was at fault. If you have a truck accident case you would like to speak to a Milwaukee personal injury lawyer about, please contact us to get a free case evaluation and get an experienced team working on your behalf.